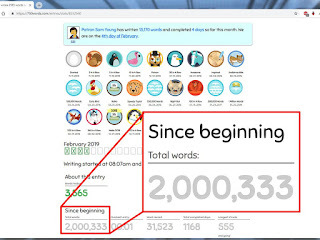 Having written about the benefits of using 750words.com a number of times (articles here), suddenly two million words have been racked up on my 750words.com odometer since November 2016. It is quite staggering how fast this total has grown. 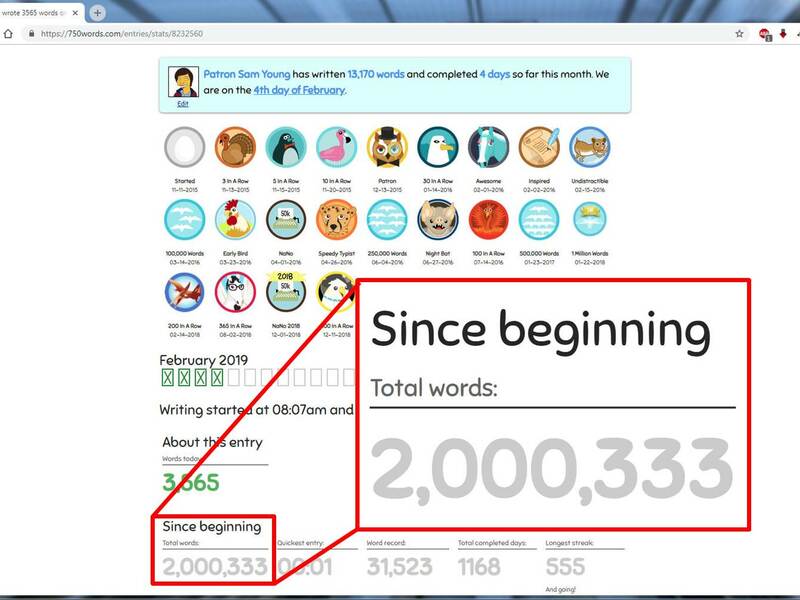 In reaching this milestone, I have been thinking about just how much we each probably write in our lifetime. We tend to treat writing as ephemera. We don't stop to think about all the notes we jot down, the letters, emails and reports we create, because there is often nothing to mark its creation. Writing is a tool for us to do other things. My daily reflections don't represent my total daily output - that is much greater than what goes into 750words.com. The process of how we humans came to create writing in the first place is such a miraculous thing. The shift from symbolism in images, to characters and runes is like a stroke of lightning... intricate and fantastical. If this was a story, who would have the imagination to write an evolution from coloured hand prints on a cave wall to the internet? Before writing, we thought, talked and sang, and many cultures, such as Māori and Pasifika, are still strong in those traditions. Many people still prefer to reflect narratively: whether through talking, thinking or singing. But I some ways I am a 'modern miss'. it is writing which helps me to process, to think, to turn things around and try to have a look at them from a different direction. And thank you, Kellianne and Buster, for 750words.com to help me do that.